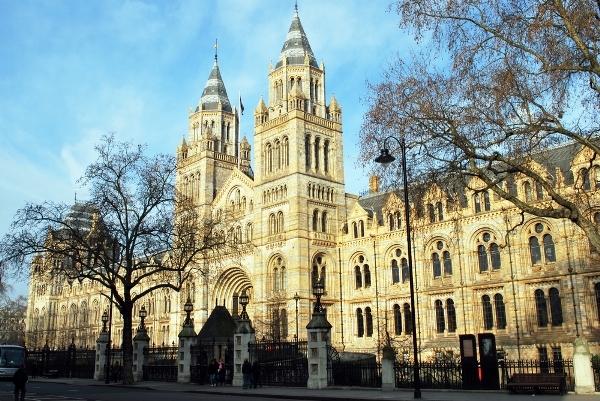 London`s Natural History Museum hosts some of the planets most terrifying (stuffed) animals where you can come face-to-face with a giant T-Rex, and experience some incredible natural phenomena. Originally part of the British Museum, the Museum of Natural History began with a donation to the country of the collection of Sir Hans Sloane in 1753 and later augmented by a second collection by botanist Joseph Banks. The collections were moved to their new home in 1883, but it wasn`t until 1963 that these and additional collections were considered a museum in their own right. 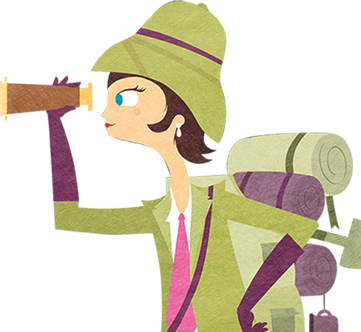 Visitors to the enormous collection of pieces and specimens (more than 70 million) covering life on earth can be overwhelmed. 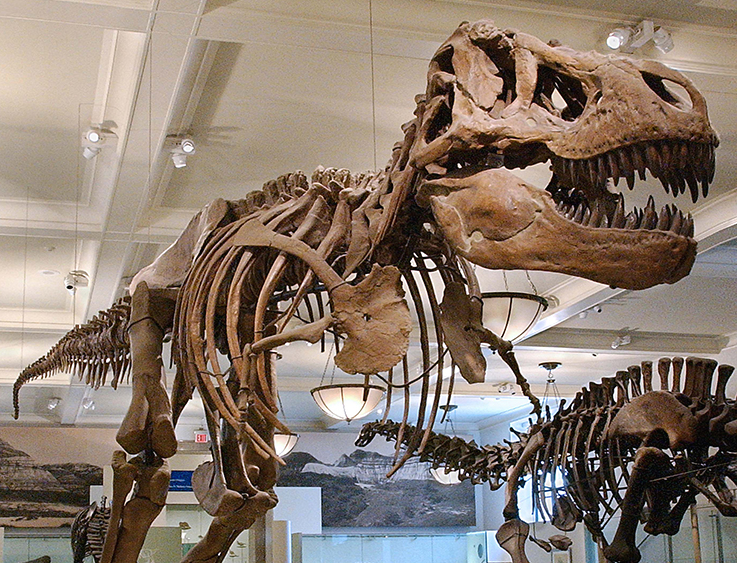 The collection of dinosaur skeletons is one of the museum's biggest attractions. 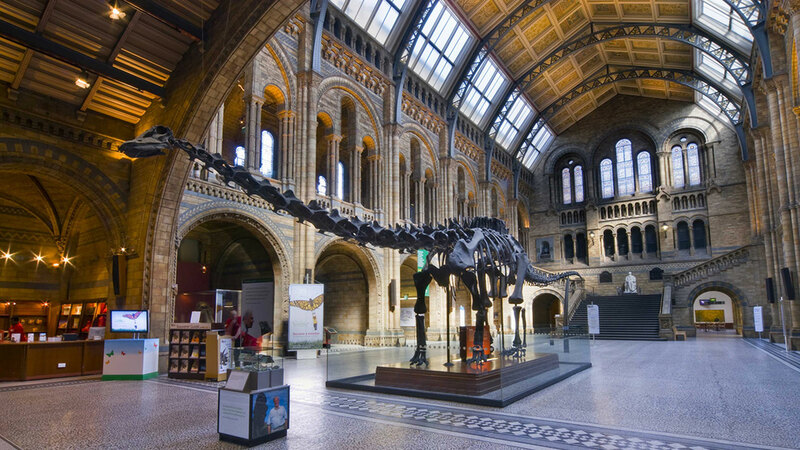 There are several scale models in the Dinosaur hall and you'll also encounter the skeleton of a Diplodocus in the central hall. Another favourite is a hall dedicated to large animals, including an enormous model of a blue whale and a small herd of elephants. 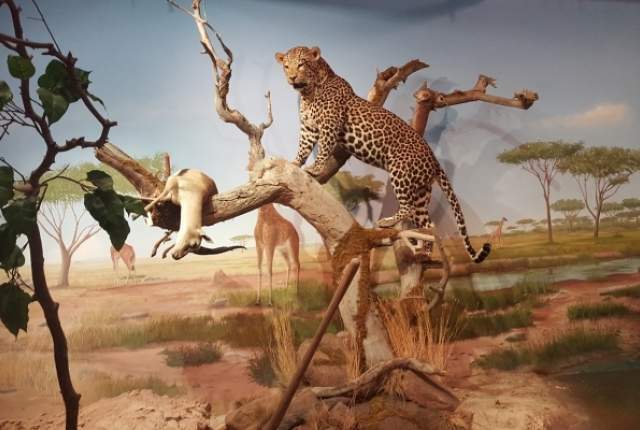 Other halls feature exhibitions on reptiles, fish, birds, assorted insects, and ecology – in fact everything that ever walked, crawled or swam is represented here. Another ‘must see’ is the geology section where the earth can be seen from outer space and a simulated earthquake and volcanic eruption.